I truly work side by side my clients to find the best solution to their situation. There problems become my problems and I will do everything in my power to find a workable solution. As a veteran trial attorney, Jim has represented both plaintiffs and defendants in the trial and appeal of complex civil business cases in state and federal courts. He has significant experience successfully prosecuting and defending anti-trust actions and breach of contract claims as well as business tort, personal injury and insurance cases including the defense of clients in actions caused by oil spills and pipeline ruptures. Beyond the work Jim does for his clients, he plays a significant role and advisor within the firm. Jim was one of the founders of Gray Reed & McGraw and he has worked to help create the firm that exists today. Amongst his fellow partners, he has earned the title “the professor” as numerous attorneys across the firm go to him for his thoughts and advice on legal matters due to his excellent research skills and his complex and creative solutions on legal issues. The successful representation of a Defendant in its defense of a $20 million breach of contract and business tort claim. After a week of trial the case settled with no recovery for the Plaintiff. The successful representation of a Defendant in its federal court defense of a complex Uniform Commercial Code claim arising from a $5 million oil trade. The successful defense of an oil company in a lawsuit brought by the U.S. Department of Justice under the Clean Water Act and the Oil Pollution Act of 1990 to recover clean up costs associated with an oil spill upon the navigable waters of the United States. The successful representation of two members of a joint venture in their suit against their joint venture partner for breach of fiduciary duty and fraud. The successful representation of a group of companies, as plaintiffs, involving claims arising from an offshore pipeline rupture in the Gulf of Mexico. In connection with that lawsuit, also defended the plaintiff companies in a third-party action which claimed in excess of $10 million as a result of the rupture. The plaintiff companies successfully avoided liability, recovered all of the damages sought and avoided any liability on the third party action. The successful representation of a plaintiff in a complex anti-trust case involving the pharmaceutical industry. The successful representation of a pipeline company in the defense of claims related to a pipeline explosion as well as the recovery of a significant judgment from third-parties and insurance companies. 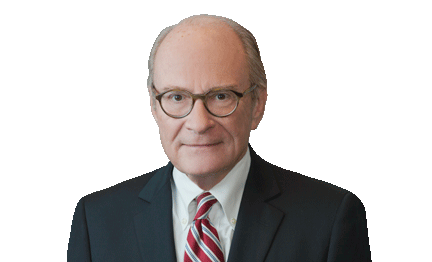 Jim McGraw Wins Appeal Affirming Dismissal of Real Property Claim for Waste Management of Texas, Inc.
Gray Reed & McGraw Successfully Negotiates Settlement Between Medical Properties Trust and Stealth, L.P.